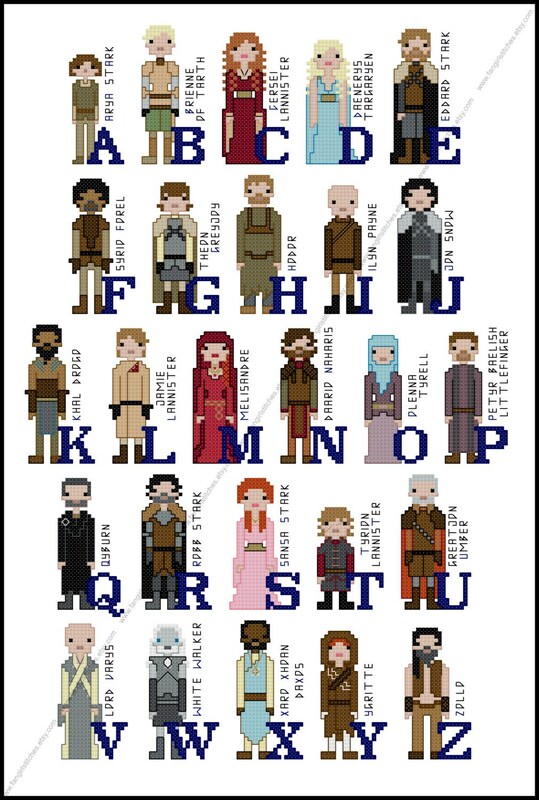 Learn the alphabet with Game of Thrones! This design features whole stitches, half stitches, backstitch and french knots. It’s suitable for intermediate stitches. This listing is for four colour PDF charts. The floss chart is DMC and Anchor, although of course you can adapt it to suit your preferred brand of threads (or whatever scraps you have on hand!). This is a parody (inspirational) work. 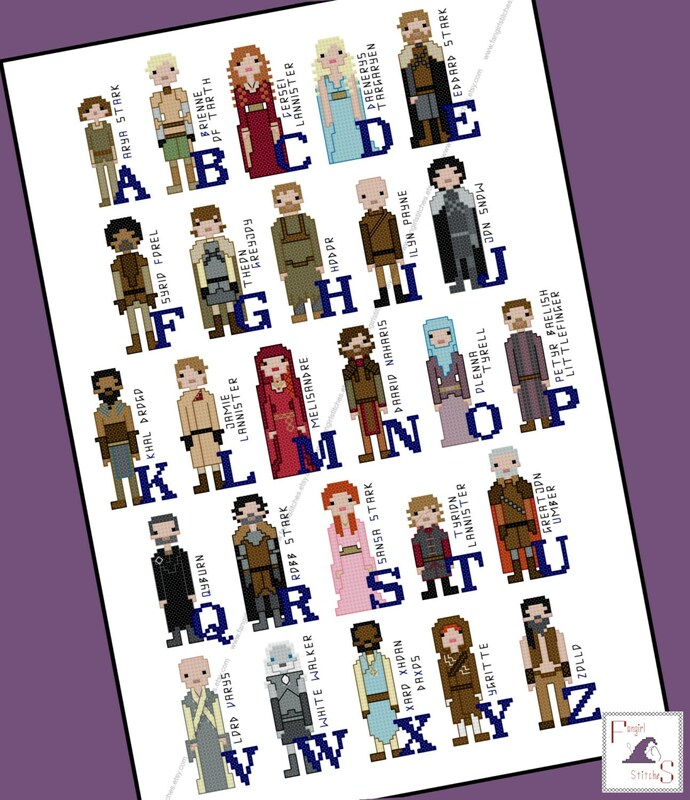 Game of Thrones and its characters are the property of George R. R. Martin and HBO. This production is not sponsored, endorsed by or affiliated with George R. R. Martin or HBO. or any of its subsidiaries or affiliated companies and/or third party licensors.